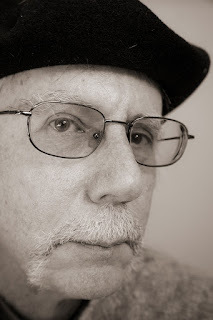 Shortly after my descent into the abyss of digital photography I began making portraits that adhered to a 1920s Edward Weston dictum that proclaimed the cloudless sky as the perfect backdrop for portraiture. This 2002 image of climbing guide, sailor and musician Alain Comeau was among my initial efforts. Could he look more French? 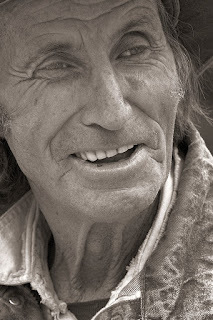 Josef Tornick is an accomplished photographer in Santa Fe. I’ve lost touch with the man though he pops up on social media from time to time. When he unsubscribed from my blog a couple of years back I closed the door on the dude. I unfriended him on Facebook. Take that. Hey, I got this portrait out of the relationship didn't I? The shallow depth of field lends an appealing softness to the image. And I do like it when my victim looks the camera straight in the eye. 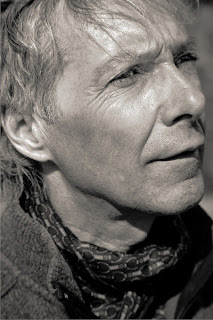 Josef, who's something of a seeker, describes himself as a project-oriented humanist documentary photographer. And you thought I overused adjectives. His humanist documentary photography book "Tir A Mhurain - 50 Years On" is a visual ode to the windswept landscape and hardy inhabitants of the Outer Hebrides and Aran Islands just off the western coast of Ireland. It may be his magnum opus. I'm still seeking mine. The 50 Years in the title refers to Paul Strand's 1954 "Tir A Mhurain" from which Tornick drew his inspiration. Tir A Mhurain translates to "Marram Grass" which is a common name for bent grass or seagrass. 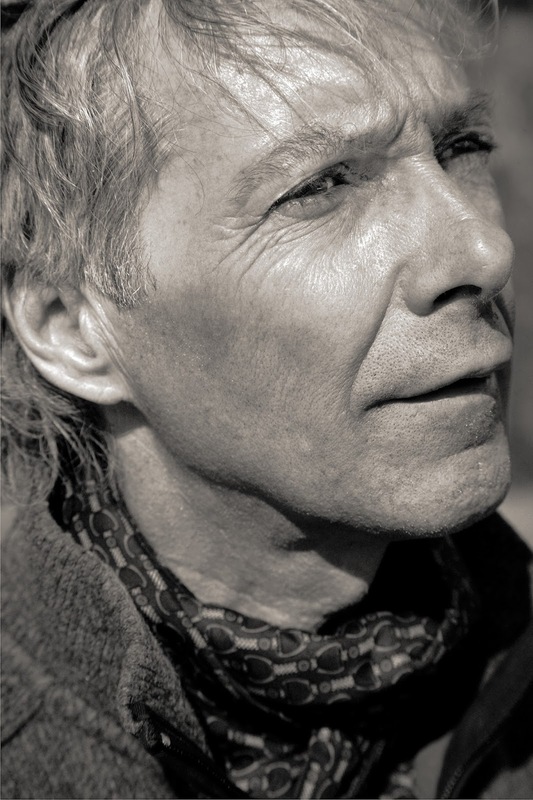 Josef Tornick proclaims that he is self-taught, an affliction with which I am familiar. He counts Josef Sudek, Manuel Bravo, Flor Garduno, Paul Strand, Sebastiao Salgado, David Michael Kennedy and Keith Carter as models for his work. 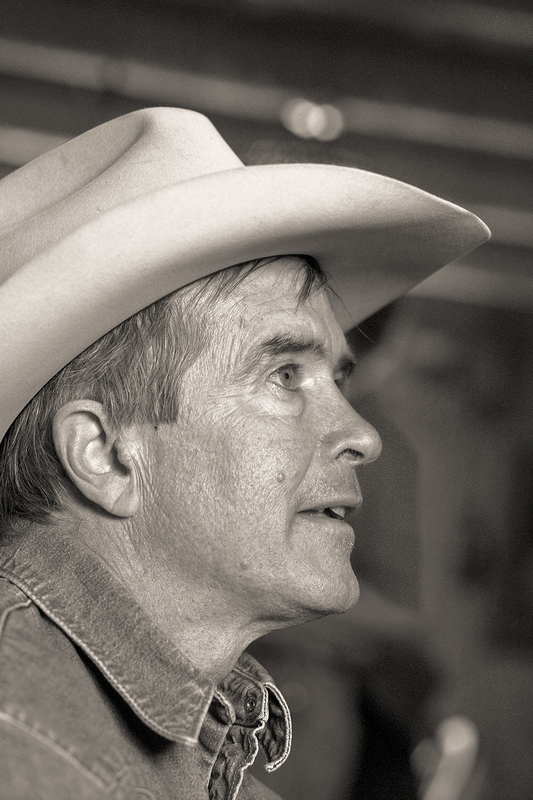 Continuing the look back at portraits made over the years, here’s one of Taos icon Joe Graves. It was taken at Lynn Canterbury’s abode in Alcalde, NM on the same photographically rich day that Lynn’s was made. Like Lynn, Joe is a mountain man but one of a more modern persuasion. No early nineteenth century regalia for Joe. He’s a living breathing man of the land and another maker of useful things, like flints for starting fires. Joe is one tough customer. I’ve heard tell that one time he lost a tooth. So, he promptly carved a wooden one that he tied into place with monofilament. I’m pretty sure there was no Novocain involved. You'll be relieved to know that some months later Joe was able to buy a bona fide false tooth in Mexico. One day I was sitting in Lindsey Enderby’s Horse Feathers store while Lindsey held court and Joe and I listened raptly. Joe was demonstrating one of his handmade fire starters when Lindsey gave me an arched eye that said, “You’ll buy that thing if you know what’s good for you.” Ever compliant, I asked Joe how much it was. Joe gave me a price of say, $25.00. I looked at Lindsey who jerked his right thumb upward as if to say “higher.” Being the intrepid negotiator that I am, I doubled the price. Never pay less if you can pay more. That’s my motto. Last week I said I’d post a photograph of my dear friend Lindsey Enderby. Turns out I had lunch with the boy yesterday along with his friend and mine, Lucky Bill Parrish, the renowned cowboy baritone and all ‘round good guy from Richmond, Virginia. 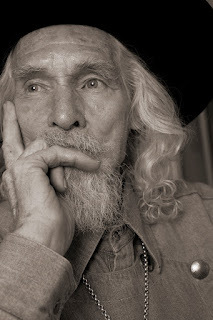 In a wide-ranging conversation over bountiful burgers at the Taos Ale House, Bill and I circled around to the fact that we had both met Lindsey at his legendary cowboy emporium, Horse Feathers, Bill in 1994 and I around 2004. Lindsey takes in strays, so we immediately joined his band of merrymen and have grown into late middle age while in his thrall. I posited that if there are six degrees of separation from Kevin Bacon there are precisely 1.3 degrees from Lindsey Enderby meaning that if you ask Jim Bob in Harlan County, Kentucky if he knows Lindsey, he will, he will have met him at Horse Feathers even though Jim Bob has never left the holler. It’s a miracle of science and a mystery of the universe I’m telling you. In the image above Lindsey is doing his best Will Rogers impression, an aw shucks persona behind which lurks a steely eyed ex-lawyer, student body president at SMU and all post football champeen in his Army Reserve days. It was taken in the late, much missed Horse Feathers store in late April 2008. Ten years. How they fly.